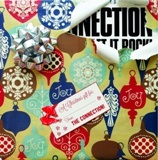 "THE CONNECTION GETS IT!" - Steven Van Zandt, The Underground GarageHeralded by rock pioneer, visionary, and Rolling Stones manager Andrew Loog Oldham, Championed by Little Steven Van Zandt, consistent airplay on Sirius XMs The Underground Garage including many Coolest Songs In The World, one would suggest that New Englands newest hit-makers The Connection are on a roll... Channeling equal parts early Beatles, The Kinks, Paul Collins Beat, The Romantics, Ramones, and The Knack, down and dirty 60s garage rock meeting the swagger of The Rolling Stones, The Connection grabs hold of the listener at first hook and either throttles you or sends you to the dance floor begging for more. Spending several weeks writing and recording, including a song writing session with punk rock pioneer and founder of NYC legends The Dictators Andy Shernoff. New Englands newest hit-makers are at it once again, churning out pure and honest, true to form rock n roll including;their jangly tongue-in-cheek holiday anthems from "Money, Honey, Baby" to the bubble gum sing-a-long "West Coast" and bringing it all back home with the spirit of holiday "I Feel Fine (Its Christmas Time)" co-written with Andy Shernoff.The Connections hit song catalog including bridges the gap between Brit Pop, Bubble Gum, Garage Rock, and raw energy punk with Ramones like hooks and Real Kids raw energy. I am sure every good little rock n roller will be wanting Christmas Collection crossed off Santas list when he comes rolling through town this Holiday Season, Cheers!! PRESSED AT RANDOM ON OPAQUE RED VINYL AND OPAQUE GREEN VINYL! 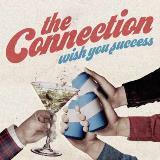 "THE CONNECTION GETS IT!" - Steven Van Zandt, The Underground GarageHeralded by rock pioneer, visionary, and Rolling Stones manager Andrew Loog Oldham, Championed by Little Steven Van Zandt, consistent airplay on Sirius XMs The Underground Garage including many Coolest Songs In The World, one would suggest that New Englands newest hit-makers The Connection are on a roll... Channeling equal parts early Beatles, The Kinks, Paul Collins Beat, The Romantics, Ramones, and The Knack, down and dirty 60s garage rock meeting the swagger of The Rolling Stones, The Connection grabs hold of the listener at first hook and either throttles you or sends you to the dance floor begging for more. Spending several weeks writing and recording, including a song writing session with punk rock pioneer and founder of NYC legends The Dictators Andy Shernoff. New Englands newest hit-makers are at it once again, churning out pure and honest, true to form rock n roll including;their jangly tongue-in-cheek holiday anthems from "Money, Honey, Baby" to the bubble gum sing-a-long "West Coast" and bringing it all back home with the spirit of holiday "I Feel Fine (Its Christmas Time)" co-written with Andy Shernoff.The Connections hit song catalog including bridges the gap between Brit Pop, Bubble Gum, Garage Rock, and raw energy punk with Ramones like hooks and Real Kids raw energy. I am sure every good little rock n roller will be wanting Christmas Collection crossed off Santas list when he comes rolling through town this Holiday Season, Cheers!! Hitting their home studio as the year came to a close, Brad Marino, Geoff Palmer and the boys in the band, including a slew of special guest veterans from the hey day when pop punk ruled the fanzines, record shelves, and airwaves, featuring Chris "B-Face" Barnard on bass (The Queers/Groovie Ghoulies), The Connection have gone back to their roots, crate digging, paying homage to their heroes in this 10 song collection "Just For Fun". 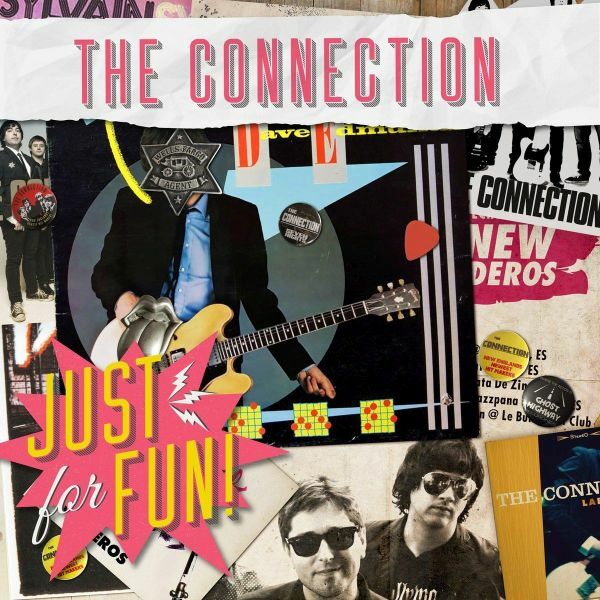 Produced by Brad and Geoff, mixed by Mike Kennerty (All American Rejects), and mastered by Mass Giorgini (who has had a hand in everything pop punk from Green Day to Screeching Weasel, The Queers, Groovie Ghoulies, and more), "Just For Fun" cranks out a set list that could have been spun in your favorite DJs set, heard on your favorite bars jukebox, or hummed in your head for weeks on end. Taking a refreshing, straight ahead, all thrills ride, The Connection nail it on the rock n roll song book with "Teenage News" (Sylvain Sylvain), "Get Out Of Denver" (Bob Seger), "No Expectations" (Rolling Stones), "Southern Girls" (Cheap Trick), and the ferocious,scorching lead single "Stay With Me" (The Dictators). They've been applauded by rock pioneer, visionary, and former Rolling Stones manager Andrew Loog Oldham. They're championedby E Street legend Little Steven Van Zandt and heard just about every day on the Underground Garage - with 9 singles inheavy rotation, including 5 " Coolest Songs In The World" . New Englands newest hit-makers The Connection are on a roll.Geoff Palmer, Brad Marino, and the boys in the band recently hit the studio with legendary punk, rock n roll icon, producer,songwriter, and historian Andy Shernoff of the Dictators. 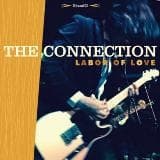 "Labor Of Love" is the soundtrack to the love child of Nick Lowe, Flamin Groovies, the Kinks, and Graham Parker stumblingthrough the Bowry with the swagger of Exile-era Rolling Stones; finishing off the night by passing out on the Ramones' studiofloor. 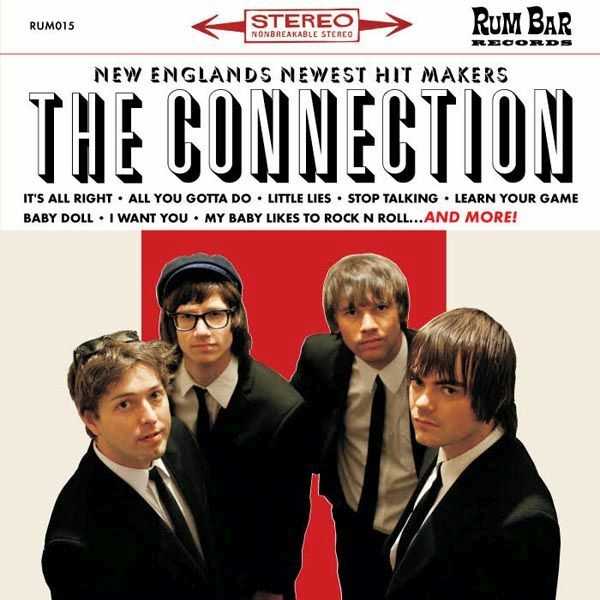 The Rum Bar Reintroduces Rochester (NH) Rock Royalty!The Connection celebrate five years of rock with an expanded CD release of their very first vinyl recordings. 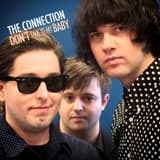 FOR FANS OF: The Kinks, Early Who, Ramones, The Real Kids, Paul Collins Beat, The Muffs, The Romantics, The Underground Garage.